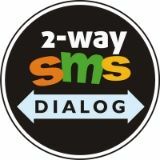 We Bring SMS to your website. Copyright © 2015 SMSINTEGRA - Bulk-SMS Chennai. All rights reserved. We are currently recording IP addresses of all! Visitors & Customers. As with any new website, you may find few problems here & there. Please CLICK HERE to give us your feed back and ideas to improve. Thanks! Don't break your head. Enable your web or desktop applications with SMS functionality through our Gateway. Simple HTTP API. You Can Count on Our Reliability Build and host your SMS applications with confidence on our secure, reliable SMS Gateway.